Women generally suffer more than men do from the effects of climate change and natural disasters. This observation leads the SDC to develop a targeted strategy of supporting projects in which women play an important role in their own social and economic emancipation. On the slopes of the Bolivian Altiplano, in Haiti and in rural India, women tend to bear the brunt of climate change and natural disasters. Because they attend to household duties, they depend on access to natural resources more than men do. When these resources become scarce, an entire way of life – and means of survival – collapses. Some women also lose the little financial independence they had gained. From the US Institute of Peace, this new special report was recently released. The executive summary and details about the author are located here. A link to the full text ( 17 pages) also is provided. I think I will have to add this topic to my list of What Keeps Me Up at Night. The current list was posted on Nov. 15th on this blog. A related report is this one from Harvard University: Climate Change As a National Security Issue. Feb. 2013. The full report ( 184 pp.) is here. One more article on the topic, from the NY Times on March 3 in this review by Thomas Friedman of The Arab Spring and Climate Change. With all the fire and flooding disasters going on presently, I thought I would pull up some practical resources for people to use. See this handbook created by residents of Joplin, MO with help from their state university: The Use of Social Media for Disaster Recovery. Note that the same two ladies who were the creative force in Joplin have created a Facebook page for the Colorado Wildfires. Be sure to check out the Resources page. Great use of Google maps for detailed accounts of the various fires: Use this link. Another link with info from Crisis Commons. If you work with these maps you will see situation reports, shelter locations, and other useful facts connected by URL to the images. From the Denver Post, resources and assistance available to evacuees. 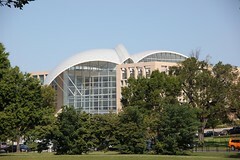 Website for the CO Voluntary Agencies Active in Disasters. Throughout the West, firefighters have toiled for days in searing, record-setting heat against fires fueled by prolonged drought. Most, if not all, of Utah, Colorado, Wyoming and Montana were under red flag warnings, meaning extreme fire danger. The nation is experiencing “a super-heated spike on top of a decades-long warming trend,” said Derek Arndt, head of climate monitoring at the National Climatic Data Center. I keep wondering how you shelter 32,000 people who have evacuated rapidly from an unexpected disaster event. If anyone has details, please let me know. It is hard to imagine 40,000 homes needing to be razed, but that is the situation in New Orleans in the nearly six years since the catastrophic effects of Hurricane Katrina. See this Christian Science Monitor article for the details. Thanks to an organization called the Federal Alliance for Safe Homes, Inc. (FLASH) and their contractor, Weather Predict Consulting Inc., we have the benefit of an excellent report on natural disasters with some recommendations re resilience. I especially like it because it presents a lot of hard scientific information about natural disasters and some useful observations re resilience, a topic that often sinks under the weight of platitudes and wishful thinking. The 14 page report is titled: Impact 2011: Examining a Year of Catastrophes through the Lens of Resiliency. It is international in scope though the recommendations are meant for a U.S. audience. While recovery from hurricanes Rita and Katrina from 2005 has been steady, the money allocated by the federal government to Louisiana has not been all spent. There is almost $2 billion still unspent from the $13.4 billion that was given to the state for rebuilding from those devastating natural disasters, according to the state Division of Administration. That doesn’t mean it won’t be spent, since it will probably take the state years to fully recover. While we can be grateful for the aide from the federal government, among the lessons from hurricanes Rita and Katrina is how to make the recovery programs from natural disasters more efficient, while making sure the money is spent honestly and for the purposes intended. “The ground motion was much larger than previously recorded, the high intensity of shaking was greater than expected, particularly for a moderate-size earthquake, and the liquefaction-induced damage was extensive and severe within the central business district of Christchurch. “Many urban areas are built over soft sediments and in valleys or over basins, for example the San Francisco Bay area and Los Angeles metropolitan. These are urban areas that sit atop geological features that may exaggerate or amplify ground motion, just as Christchurch experienced. 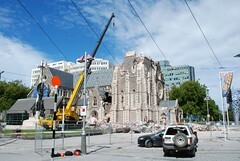 “The question is how to apply or account for such significant, higher-than-expected ground motions, as seen in Christchurch.” The Christchurch quake would have a long-lasting and significant impact on engineering practices and provided a huge opportunity to fuel scientific knowledge, Kalkan said. 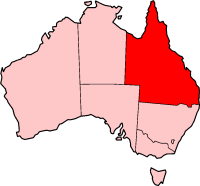 Yesterday I read that about 70% of the entire population of Queensland, Australia has been affected by the recent floods and cyclone. Today in the Wall St. Journal that indicate that a new organization has been created to deal with the recovery process. This article is a bit brief, but I expect more details will be known in the coming days.